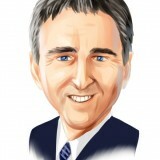 Citadel Investment Group, which is managed by billionaire Ken Griffin and his team, has filed a 13G with the SEC to disclose a position of 1.9 million shares in Carrizo Oil & Gas, Inc. (NASDAQ:CRZO), a $1 billion market cap exploration and production company focused on shale plays including the Eagle Ford, Niobrara, and Utica. We track quarterly 13F filings from Citadel and other hedge funds, which we primarily use to develop investing strategies (we have found, for example, that the most popular small cap stocks among hedge funds generate an average excess return of 18 percentage points per year), and so we can see that the fund had only owned about 15,000 shares at the beginning of this year. So Citadel has built essentially this entire position in the last few months. Find Griffin’s favorite stocks from the 13F. In fact, none of the funds or other notable investors which we track owned at least 300,000 shares of the stock at the end of December. Carrizo Oil & Gas, Inc. (NASDAQ:CRZO)’s oil and gas revenue came close to doubling last year compared to 2011. The company benefitted from a large increase in oil production volumes; between this and lower natural gas prices, nearly 80% of revenue came from oil. Currently, the spread between oil and gas prices is quite wide due to high supply capacity in the natural gas market. While Carrizo Oil & Gas, Inc. (NASDAQ:CRZO) also ran up high costs, its earnings grew by 51% for the year and it finished the year with $1.39 in EPS (including 11 cents per share in earnings from discontinued operations). Of course we don’t expect future growth to be quite that high, though the business will likely increase production further and there is at least some potential upside in the event of higher nat gas prices. Currently the stock trades at 18 times trailing earnings- higher than where we find the oil majors, though of course Carrizo Oil & Gas, Inc. (NASDAQ:CRZO) has better growth opportunities. Wall Street analysts expect high growth- as they do at other shale-focused E&P companies- with consensus earnings per share for 2014 coming in at $2.66. That results in a forward P/E of 10, and the sell-side expects further improvements from that point with the result being a five-year PEG ratio of 0.4. However, the market has been more pessimistic: the stock is down 11% in the last year, and currently 18% of the float is held short per the most recent data.